After receiving a BS in Biology from Manhattan College and a PHD from Rutgers in Microbiology I began my career at Pfizer working the fermentation and recovery of industrial enzymes. Excited by the possibilities of developing new therapies through the use of recombinant DNA technology and the charisma of George Rathman, Amgens founding CEO, I was recruited to join Amgen as one of its first employees. During my 25 years at Amgen I held numerous positions of increasing responsibility including the Vice presidencies of Research, Process Development, Manufacturing, Human Resources and Sales and Marketing. I retired from Amgen in 2007 as the Executive Vice President of Operations. While enjoying all the benefits of early retirement I remain involved in the Biotechnology industry by sitting on the board of four public companies, Kythera, Xenoport, Dendreon and Hospira, two private companies Napo and Genelux as well as the Keck Graduate institute. Jim Thomas currently leads Amgen’s large molecule Process and Product Development (P&PD) organization within Research & Development. His responsibilities include the development and application of all process, analytical and formulation technologies used to manufacture both clinical and commercial large molecule products for Amgen. 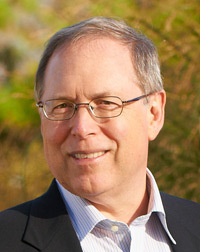 He began his biotechnology industry career at Genentech in 1983 as a scientist in Cell Culture R&D before joining the department of Molecular Biology at Immunex Corporation in 1990. At Immunex, Jim initiated the effort to produce recombinant proteins, including Enbrel®, using mammalian cells as the host cell system. As director of Cell Sciences and then vice president of Process Sciences, he oversaw investment in technologies that are the foundation for large scale processes used at Amgen to produce molecules including Vectibix® and Prolia®. Jim received his Ph.D. from Purdue University and completed a post-doctoral fellowship at MIT in biochemistry, nutrition and cell physiology. 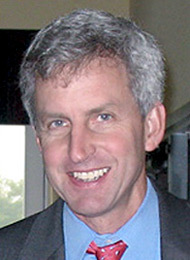 Doug Cameron is Co-president and Director of First Green Partners, an early-stage investment firm focused on companies with technology related to renewable and fossil carbon. Doug’s career has spanned business, finance, and academia, including positions at Khosla Ventures, Piper Jaffray, Cargill, and the University of Wisconsin-Madison. In 2009, Doug was the recipient of the prestigious Raphael Katzen Award for his contributions in furthering the deployment and commercialization of biotechnology to produce fuels and chemicals from renewable resources. Doug graduated from Duke University with a bachelor of science in engineering degree in biomedical engineering. He earned a Ph.D. in biochemical engineering from the Massachusetts Institute of Technology. Prior to attending MIT, he was the fourth employee of Advanced Harvesting Systems, an agriculture start-up company backed by International Harvester. 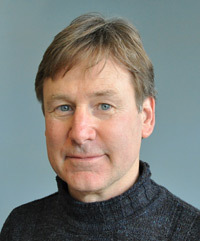 William E. Bentley is the Robert E. Fischell Distinguished Professor of Engineering and founding Chair of the Fischell Department of Bioengineering. He is also appointed in the Department of Chemical and Biomolecular Engineering at the University of Maryland, College Park and the Institute for Bioscience and Biotechnology Research. At Maryland since 1989, Dr. Bentley has focused his research on the development of molecular tools that facilitate the expression of biologically active proteins, having authored over 240 related archival publications. Recent interests are on deciphering and manipulating signal transduction pathways, including those of bacterial communication networks, for altering cell phenotype. To enable discovery, his lab develops new strategies for opening ‘communication’ between devices and biological systems by the creation and facile assembly of biologically functional interfaces. 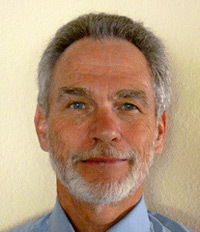 He has served on advisory committees for the NIH, NSF, DOD, DOE, FDA, USDA, and several state agencies. He has mentored over 30 PhDs, some of whom are academics at: Cornell (x2), University of Colorado, Clemson, University of Connecticut, Tufts, Postech (Korea), and Tsing-Hua (Taiwan). He co-founded a protein manufacturing company, Chesapeake PERL, based on insect larvae as mini bioreactors. Dr. Bentley was recipient of the SIM’s Schering-Plough Young Investigator Award and is now a Fellow of the AAAS and AIMBE and is an elected member of the American Academy of Microbiology.